While many visitors opt for crowded resorts, they miss out. 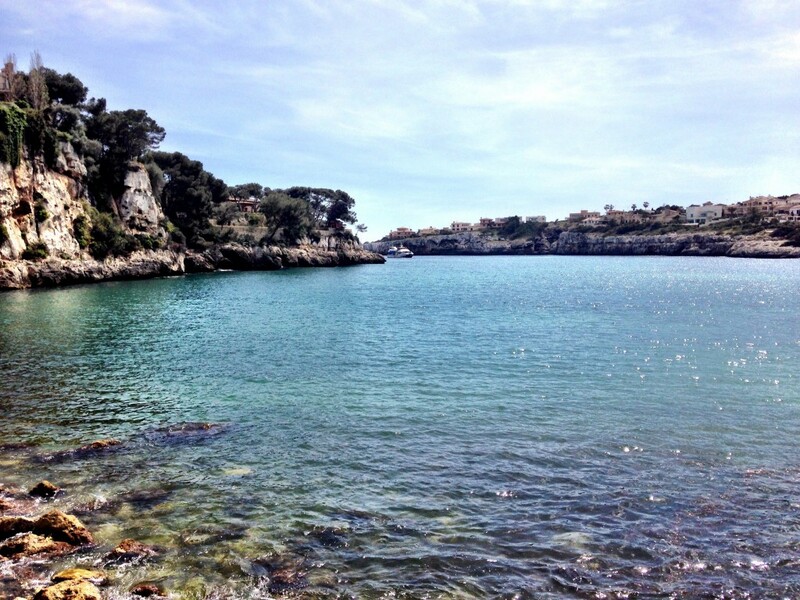 We recommend visiting Mallorca calas, Mediterranean coves where life is lived in a slower lane. Mallorca is lots more than the glitz and late-night carousing that many associate with the more crowded areas of the Balearic Islands. We spent two weeks in Mallorca and fell in love with the “cala vibe.” Even though you may choose a popular Mallorca community from which to make your base, we think you’ll want to head to one of the many Mallorca calas for the relaxed atmosphere which is more indicative of the local lifestyle. Travel and Leisure describes the coastline by Santanyí as “where to drop the beach towel and forget the world.” This can be done with minimal effort. Santanyí is a quiet little village dating from medieval times with several excellent restaurants and restored guest houses. But the compelling draw of Mallorca is epitomized by the three Mallorca calas to its south. Impossibly blue-hued inlets contrast with bleached stone cliffs. Rent a sunbed under a palapa for the day, and get your refreshments at the chiringuito (beach bar). Cala Pi shares a name with the holiday hamlet at the top of the cliff. A superb sand beach and an excellent chiringuito, as well as several terrific restaurants up top. 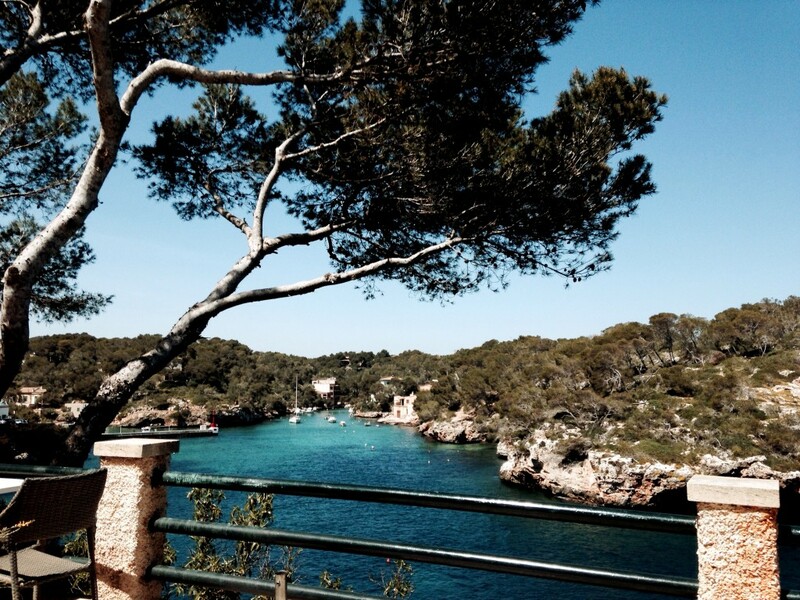 The Torre Cala Pi is a landmark medieval watchtower, which not all Mallorca calas boast. 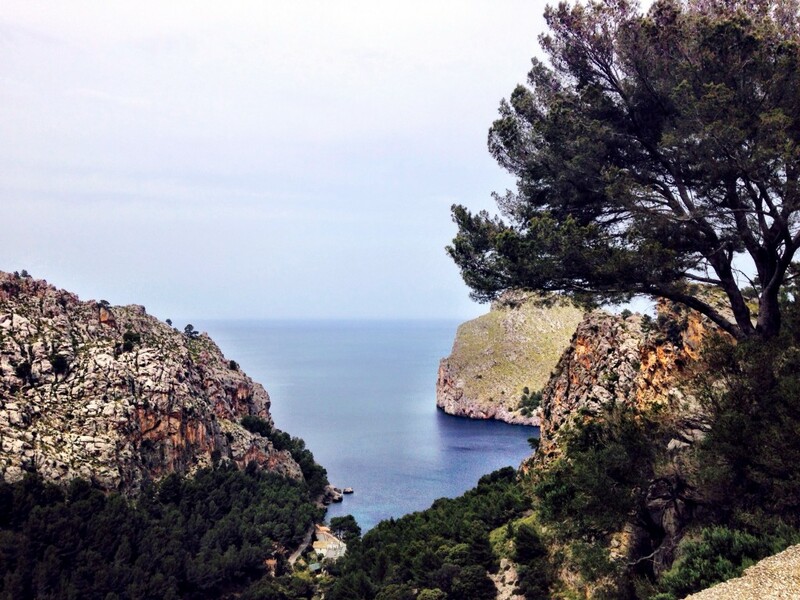 Trails on either side of the cala present stunning Mediterranean vistas. A narrow cala with a dramatic descent from parking to the port, and then via cliff-side restaurants and businesses through a tunnel to a deep pebble beach. This beach can be quite busy during summer holidays due to the fact that Port Sa Calobra is the end of the road from the Torrent de Pareis canyon (Highway Ma2141). Come early ahead of the tour buses and make a day of it. A larger cala with a marina and promenade from which the town of Porto Cristo ascends. Outside Porto Cristo are the Cuevas del Drach (Dragon Caves), a system of subterranean limestone caves with bizarre stalactite formations. Porto Cristo has beachy souvenir shopping, mid-range dining options and a sandy city beach with street and lot parking available. Our visit to Mallorca exceeded our expectations in every way. We had anticipated a quiet two weeks of resort life with lazy days of poolside lounging, and that may be just what you need. However, we were captivated by its history, cuisine, and magnificent scenery. 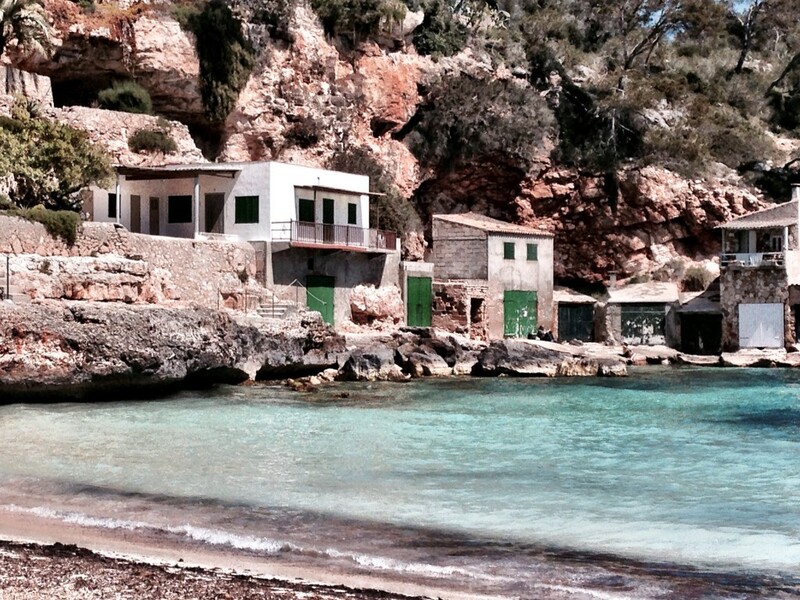 If you’re up for a more mellow vibe, any one of these Mallorca calas will deliver. Disclosure: This article was written for First Choice, getaway travel experts offering all-inclusive, family, and club hotel experiences ranging from budget to premier in Europe, Asia, Africa, the Caribbean and Central America. Part of me wishes more people would explore more of the Balearics like this, but then another part says leave the package tourists in the resorts so they don’t ruin it! Too much of amazing places like these are ruined by overcrowded resorts. Hi Michael – I totally understand the mixed feelings. Sometimes a place is so good we want to keep it all to ourselves. You brought back some really good memories Betsy! I think I was 13 when I visited Mallorca with my parents. We’d go to Barcelona regularly as my younger sister had had surgery at the Barraquer clinic years before. My parents started treating these health trips as a vacation opportunity. They’d take me too (unless it was during school time) and we’d roam about Barcelona. I loved it. Then, one year, when we were there, they realised perhaps it was time to go somewhere else and we hopped on a plane and went to Mallorca. We had a blast! I can’t say that the sea was as nice as back home in Sardinia, but the city was great, the caves, the food, the people. I was only 13 and I can still remember 🙂 Lovely post! Never been here yet, but should be a great trip one day 🙂 Good article! Hi TravelGretl – We’re partial, but we think you’d love it! I’ve never been to Mallorca because it’s such an overcrowded tourist destination. Your post shows that it’s not everywhere like that. Hi Barbara – Particularly in the off-season, when we visited. The weather is still lovely and the crowds have gone home. What a fantastic trip! So lucky to travel to such paradise! Love how you lived local style with a splash of luxury…beautiful scenery! Hi Will – We hadn’t planned on visiting, but we’re really glad the opportunity popped up. Mallorca is awesome. You are so right – it looks like the perfect place to drop your beach towel and forget the world. I could use a day like that! Great post. Hi Jennifer – Yes, indeed. A week or a month of days like that! Wow, how picturesque is Cala Llombards?! We’re all about finding the more local areas, and peaceful places as well, so this sounds like what we should be looking for if (when) we visit Mallorca. Hi Dariece – Yes, go off the beaten path into the smaller communities, and you’ll find these less-known locations with smaller hotels, guest houses, etc. So sweet and pretty! This looks like the perfect place to linger for a week, maybe nosh on some local fresh fish and produce, and get some writing done. Hi Vanessa – Yes, it would be perfect for that. We alternated work days with sightseeing days during our two weeks there and that was great. Hi Harvey – There’s plenty of history to see (our previous post on Off-Season Mallorca is here: https://passingthru.com/2015/06/off-season-mallorca-is-better/) going all the way back to the Bronze Age. You’d love it. It’s surprising to read your lovely post because all I’ve heard about Mallorca is that it is very touristy. Good to know about your offbeat experiences there. Hi Natasha – Yes, that’s the popular impression, and it is during high season in the more popular resort areas. But that’s not all there is to Mallorca. Give it a try! I’ve never been to Mallorca, but the birds chirping, and sound of the ball hitting the paddles in your video brought back memories of summers in Greece. The calas look like just the place to visit for a relaxing vacation! Hi Michele – Such a nice memory! Yes, the smaller calas are super nice. Gorgeous! Not a bad way to spend two weeks. I would love to go there and just relax. Hi Mags – it’s one of the nicest destinations for pure relaxation we’ve been to. I’ve been to Spain but mostly just to Madrid. Wish I’d had the opportunity to do some more exploring! You’ve given me the motivation for sure! Hi Tami – We’ve yet to visit Madrid. Spain is magnificent, and Mallorca is its own little world. We loved it. This looks like a great change of pace to the Mallorca I have see and tried to avoid! Often places like this get over run with British tourists but looks like you found the perfect spot to see it for the beautiful place it really is! Hi Nic – I think you’d really love it in the off-season. Just avoid July and August. Hi Francesca – We never had it on our radar, either. But now, we are so happy we visited and would love to return to spend even more time than we did. I can’t believe I’m living in Barcelona for almost two years now and I still haven’t been to Mallorca. Something to do this summer!